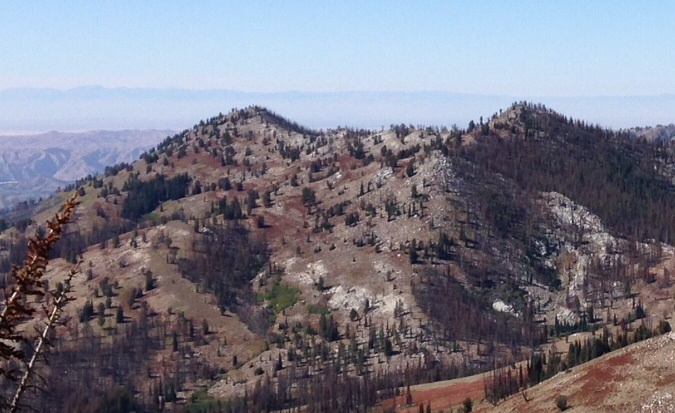 The name Trinity Mountains refers to a rugged north/south ridgeline that runs from Dog Mountain (just above Anderson Ranch Reservoir) to Sheep Mountain (just north of the Middle Fork Boise River). The name was used by miners but has not been officially adopted by the government. 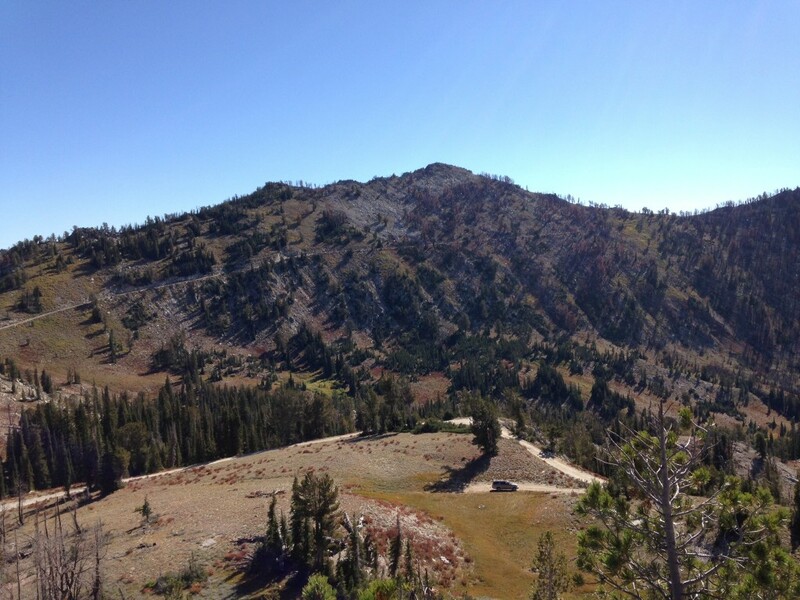 Trinity Mountain is the highest point on this ridge at 9,451 feet. 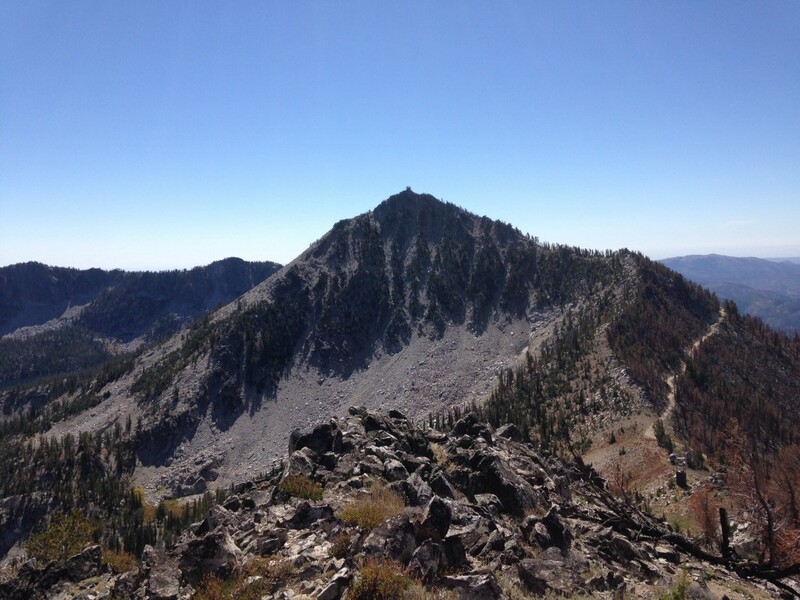 Other notable summits include Peak 9165, Peak 9140, the Fiddlers Perch, Peak 9037 and Peak 8554. The ridge is accessed by the Trinity Mountain Road [(E)(2.2)] which is climbs as high as 8,400 feet as it travesres the range from south to north. A 4WD is recommended. 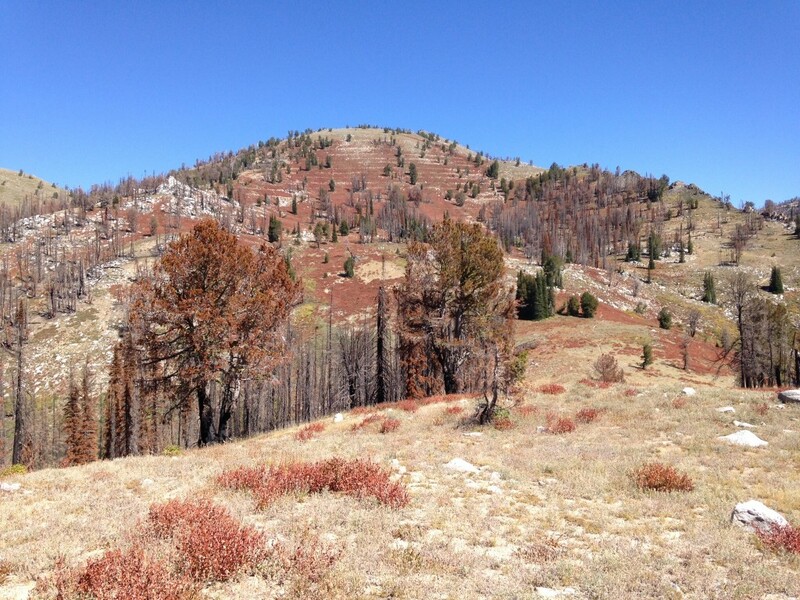 Much of the Trinity Mountain area was burned by a forest fire in 2012. Still, there is are living trees to be found and the many high mountain lakes around Trinity Mountain provide good camping. 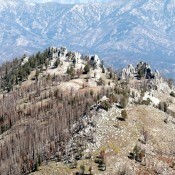 The Fiddlers Perch viewed from the upper slopes of Peak 9037. 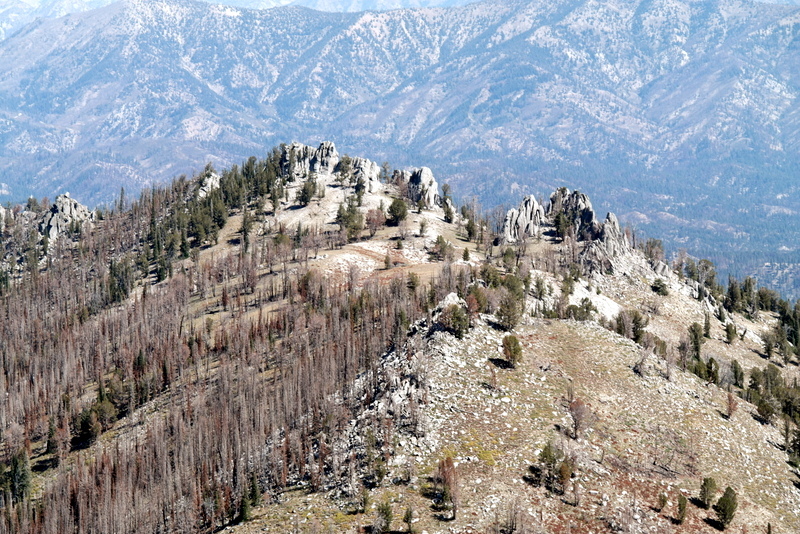 The saddle on the left side of this photo connects with Trinity Mountain. 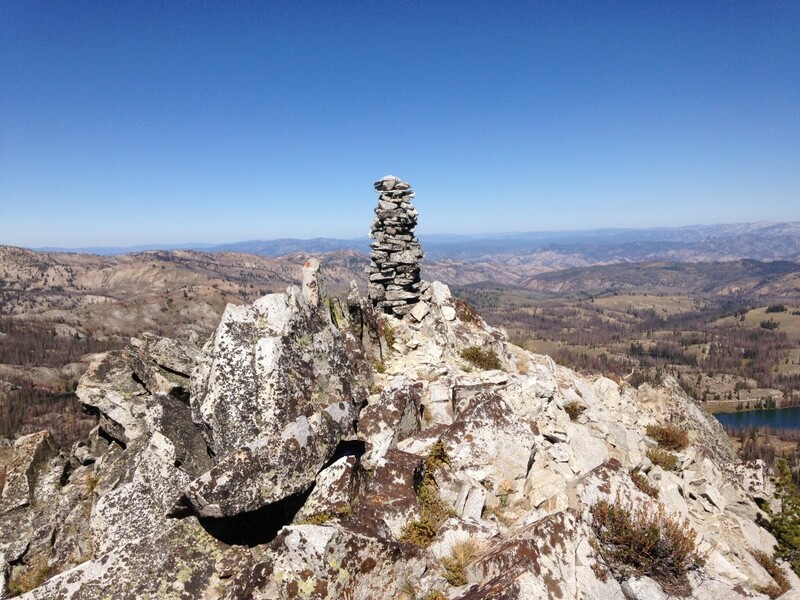 There is a second, twin cairn hiding behind this one. 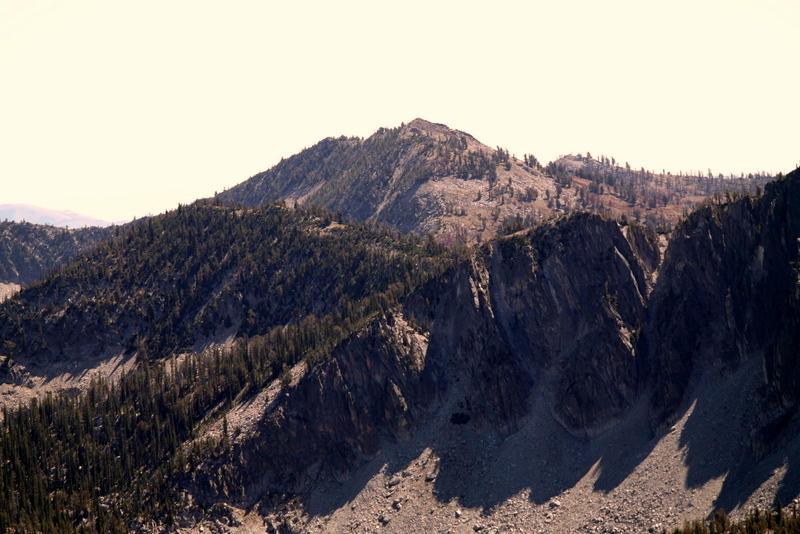 Trinity Peak and it’s north face from the Fiddlers Perch. Peak 8554 from the slopes of the Fiddlers Perch. The highest summit is the on the right. The lower summit is Point 4489. Peak 9037 viewed from the northeast ridge of Peak 8554. The saddle between the two peaks is visible mid-photo. The trailhead and the Trinity Mountain Road are off the photo to the right. Peak 9165 viewed from the Fiddlers Perch.